As a senior leader with over twenty five years of general management and growth leadership, Richard Metzler has extensive experience and accomplishments in the parcel and freight transportation, third party logistics and e-Commerce disciplines. He also has extensive M&A experience on a global basis. Mr. Metzler has worked extensively with private equity, debt financing, venture capital, and as a senior leader in portfolio companies and advising on individual investments and divestitures. 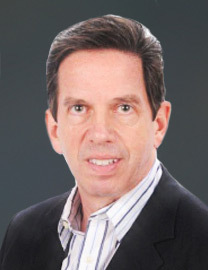 He has held growth leadership roles such as VP/GM of FedEx Logistics, Chief Executive Officer of APL Logistics, EVP at DHL with three business units totaling nearly $500 million in revenue, Chief Commercial Officer at Greatwide Logistics, and most recently CMO of uShip, an online transportation marketplace. In operating and commercial leadership roles Mr. Metzler has focused on process-oriented growth that has resulted in substantial top and bottom line results. Mr. Metzler currently serves on the board of directors of Flash Global Logistics, iGPS, XGS and Installs/NAL. He is a past President and Chairman of the Transportation Marketing and Sales Association (TMSA). He currently resides in Austin, TX.